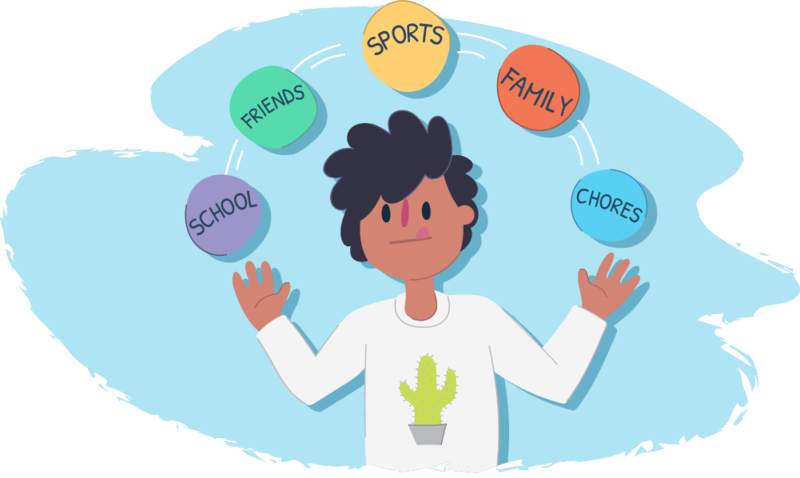 If you’re juggling lots of things like school, chores, sports and friends - it’s easy to forget to look after yourself. You’ve probably heard people talk about having a ‘healthy lifestyle’. It involves more than just eating healthy and exercising. When things get out of balance and you feel stressed out, it can start to affect your health in negative ways. It’s easy to give up sleep when you need to study, but sleep is really important for staying healthy! It’s the only part of the day where your body and mind get a chance to rest and recharge. Sleep actually helps with learning and memory which makes it really important for school and study. What you eat can help you feel healthier, stronger and ready to take on any stress that comes your way. Eating a balanced diet provides you with the right type of fuel for your body. Having an outlet to express your thoughts and feelings without worrying about being judged is really important. Having balance in your life means taking time out to have fun, do things you enjoy and do what makes you feel good! It may not seem as important as the other tasks, but it’s a must for your mental and emotional wellbeing. It’s really important to take care of yourself – there’s only one of you! 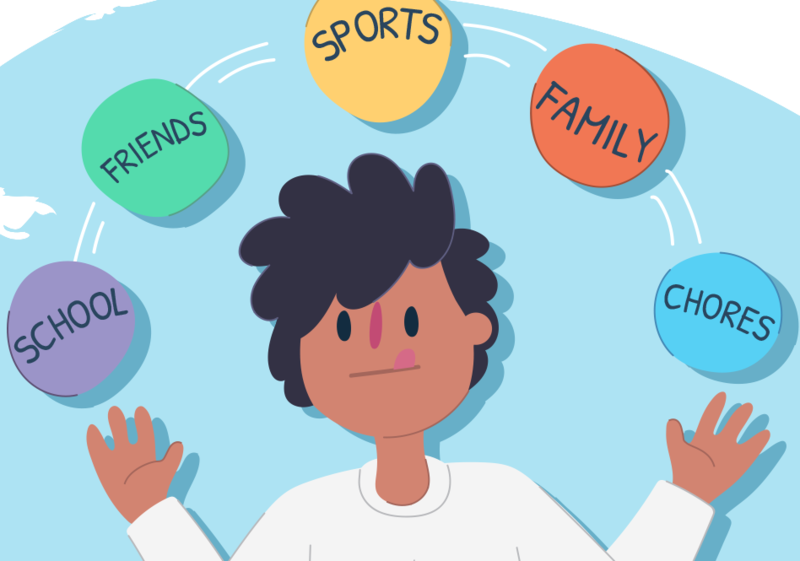 It’s easy to get caught up in all your responsibilities, but there’s lots of reasons to take the time to look after yourself. Taking care of your physical, emotional and mental wellbeing will mean you’re well on your way to having a healthier and more balanced life. If you need help to create balance in your life, give us a call, start a WebChat or send us an email today.